The National Trust of Australia (Victoria) has nominated Federation Square to the Victorian Heritage Register to recognise the site as a place of historical, architectural, aesthetic and social significance to the state. The Trust submitted the nomination to Heritage Victoria following 12 months of consultation with heritage and architectural experts who collaboratively determined the heritage values of Federation Square are worth protecting. 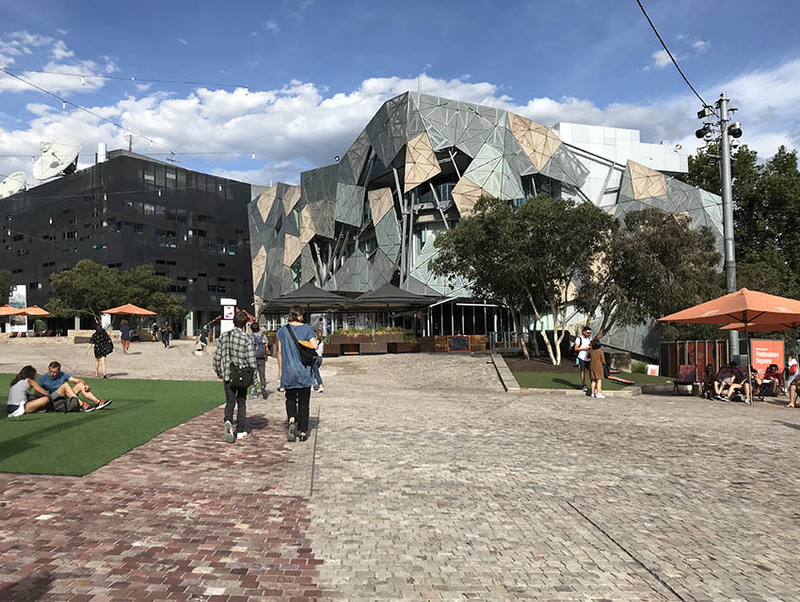 Should Federation Square become protected through inclusion in the Victorian Heritage Register, any future development likely to impact its heritage would require assessment and permission from Heritage Victoria. Simon Ambrose, CEO of the National Trust of Australia (Victoria) said it is committed to saving places of significance and Federation Square has come to be highly valued by the community on both a cultural and architectural level. “With significant changes proposed at Federation Square, we have fast-tracked our nomination to ensure there is a coordinated approach which takes into account the architectural and cultural significance of this important place. Additionally, the lack of transparency has been concerning, with no attempt to consult Victorians—the very people who Federation Square was built for,” said Mr Ambrose. “While our nomination is being processed, we also urge Fed Square Pty Ltd to prepare a masterplan, subject to a process of public consultation, as a matter of urgency to guide any future development at the site,” said Mr Ambrose. Listed on the National Trust’s Register of Significant Places, Federation Square is Victoria’s premier civic and cultural space, representing the culmination of a century-long search for a public square in the centre of Melbourne. “Federation Square is one of our finest examples of twenty-first century architecture, and it has become a place where the people of Victoria and visitors can celebrate our history, diversity, identity and culture,” said Mr Ambrose. Heritage Victoria is currently assessing the nomination and will provide a recommendation in due course to the Heritage Council of Victoria, which will make a final decision on the matter.